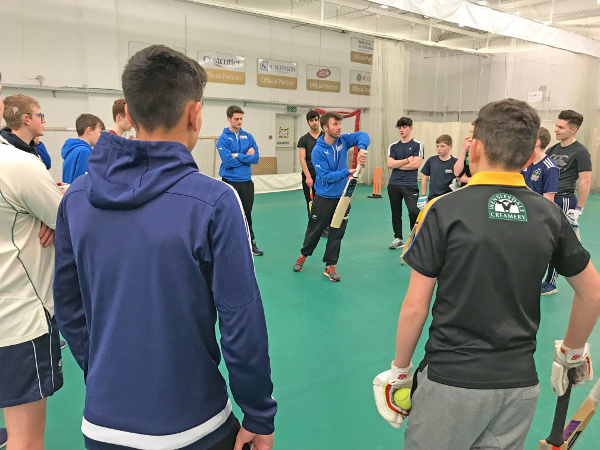 Mark Lawson, Director of Coaching at ProCoach, Yorkshire County Cricket Club’s official coaching partner, is immediately into his stride on how to get the best out of indoor nets. At this time of year, the weird environment of stark lighting, sports hall terrain and matting for a pitch is a significant ritual, normally over several months, designed to ease out the kinks, oil the technique and grow confidence. If you’re of a mind to get a bit of exercise and have a thrash, divorced from the idea that it has much relevance to how you’ll perform when April comes round then all power to your swashbuckling elbow. But over the seven years of doing Cricket Yorkshire, I’ve met thousands of you in whites on a league weekend, steaming into bowl at nets or switch-hitting and thudding out the yorkers in a T20. I know it matters if you get castled by a grubber for a duck or scorch everything off the middle all afternoon and walk off grinning. When, inevitably, a bowler’s trailing leg clatters into the blue plastic stumps and propels them into the side netting or a straight drive deconstructs them in milliseconds, put them back where they were before; not closer to the facing batsman…as it’s a false economy. Geez, that’s not rocket science, is it? Well, you’d be surprised. 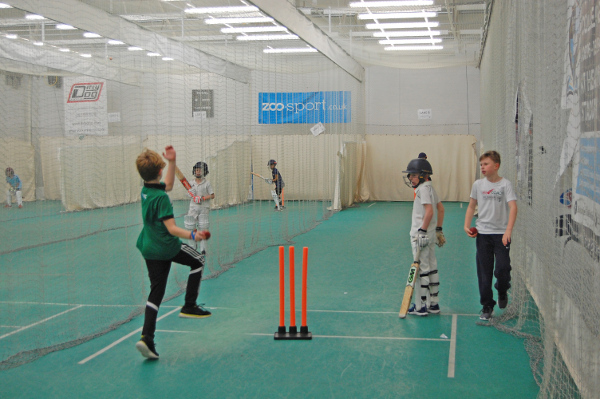 Indoor nets can engender a bravado and mindset that just doesn’t match a bitingly cold day in April when the ball is hooping all over the place. He acknowledges that circumstance can make it tough at indoor nets when there might be ten people in a lane and only an hour to give everyone a go. The micro-climate of five or so minutes batting doesn’t lend itself to a journey of discovery but if you go with a gameplan, it can all still pay off. For Lawson, something to think about is the role that you’re going to play in the team this coming season and to approach a net session with objectives a bit more subtle than just trying to hit 36 off an over or pinning a tailender to the back wall with chin music. 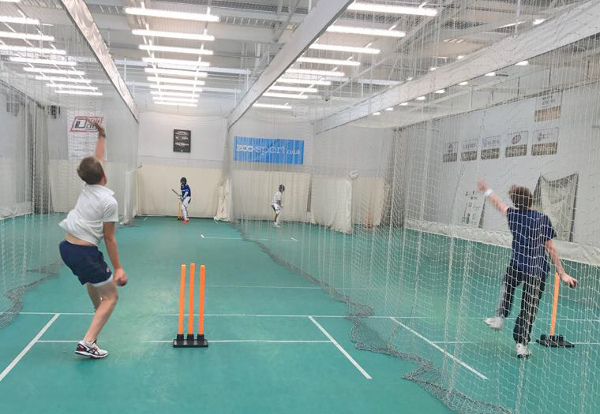 So, even if it means you gets a bit of tap with honing in on a fuller length indoors, the repetitive groove of eight weeks of indoor nets will ultimately serve you better when wickets, strike rates, points and titles are up for grabs. As a left-armer seamer, I would automatically drag my length back at nets if someone was climbing into my bowling with something approaching relish. There can be ego attached to our actions and so I would dig one in short to try to wrap the batsman’s knuckles. 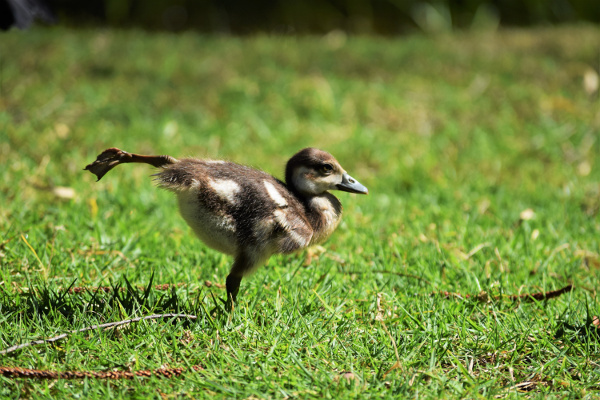 But try bending your back and menacing the batsman with an early-season half tracker in the Craven Cricket League and the end result on a muddy wicket can be mortifying. It’s a crude example but the point still stands about fine margins. 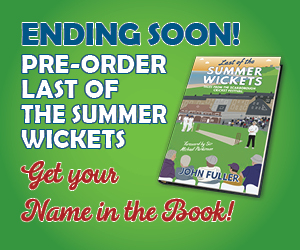 Now, Cricket Yorkshire’s readers are a broad demographic and as such have the full spectrum of ages and abilities when it comes to cricketing prowess. 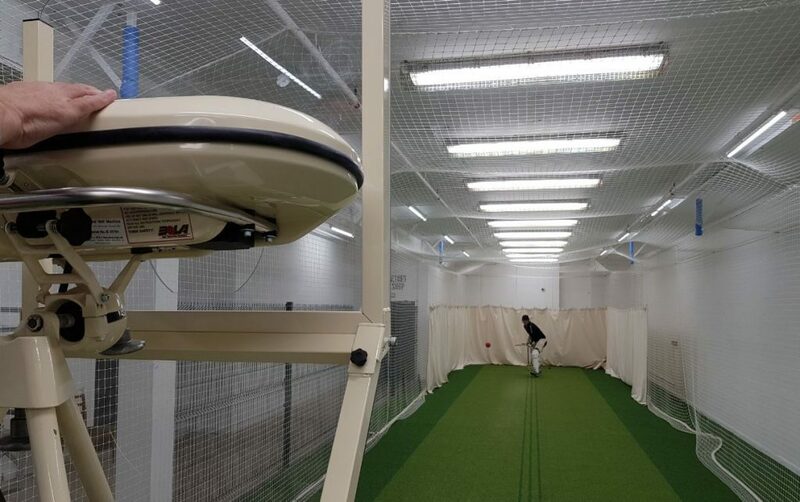 How you approach indoor nets will naturally depend on your mindset, ability and the level of cricket you’re involved with – but you should all warm up. 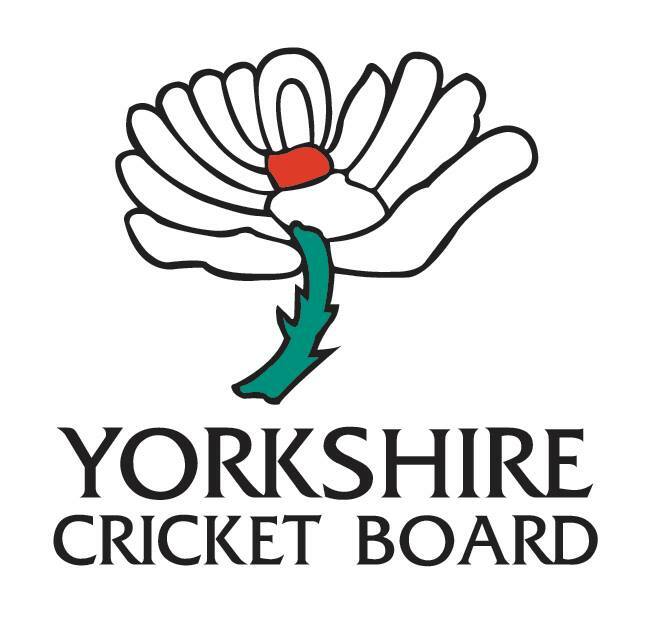 I’ve noticed how it’s become the professionalisation of training has become engrained at more ECB Premier League cricket clubs and those in the higher standard leagues across Yorkshire. Twanging a hamstring by going full tilt while all your muscles are still wincing at the meat locker temperatures is a no-no. 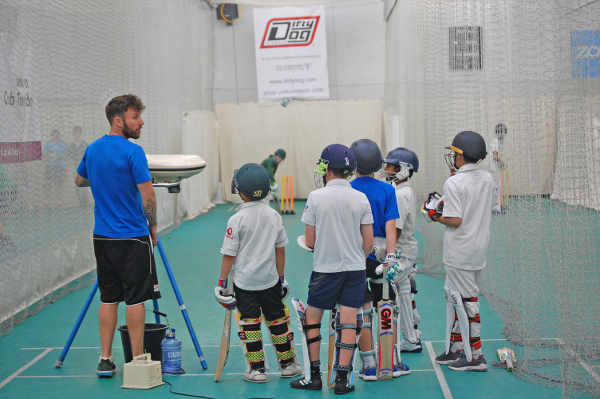 Of course, it’s worth stressing that whatever standard you play at from a beginner through to a professional, there’s no reason you can’t train in a way that means you’re getting the best out of the time you’re investing in your cricket. We return to the time-poor element in nets for cricket clubs of cramming in as much a possible into that hour’s slot rather than realising that a sensible warmup and even twenty minutes of high intensity cricket practice trumps sixty minutes of flogging your body unmercifully. All of which brings us onto a vital piece of organisational advice around scheduling your time. Sometimes a club coach may have mapped out exactly what happens when but if not, think about what is best for the types of players. So, Mark’s top tip is for fast bowlers to bat in the middle of the net session to give their bodies respite. 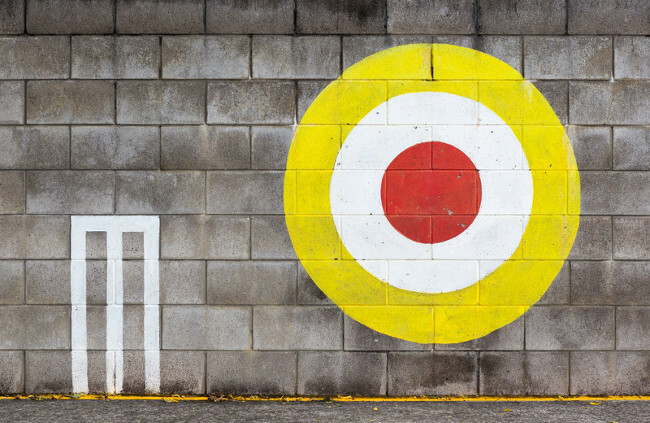 Booking a bowling machine with a group of mates to work on trigger movements or conquer indecision with a particular shot can be a wise option. The reliability of a bowling machine is its greatest asset but can be a curse too. What you don’t get is six balls from six different bowlers so that you’ve faced an over comprising of a doosra, a bouncer, two off-cutters, an in-ducker and a rank pie that flapped the lip of the mat and spooned comically into the air. But, beware just cranking up the machine to seventy, getting it to land on a nice, juicy half volley length and smashing each dimpled delivery to smithereens in the belief that you are odds on for a daddy hundred in your first outing. So, whoever is operating the bowling machine could throw in a curveball or two (safely…don’t crank up the mph for giggles), vary lengths and types of delivery to mimic matches. After all, variety is the spice of life and it’s what you’ll all be coming up against out in the middle when you get your whites muddy in 2018. So, my challenge to you is to change it up indoors, avoid predictable for the sake of it, train smart and reap the rewards down the line. Thanks to Mark for his coaching insight, to Procoach for use of their photos and all the best with your training at cricket nets. Like this article? 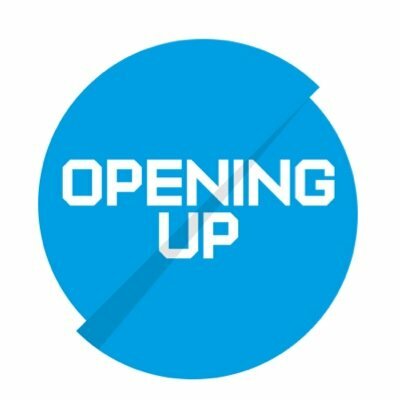 Support Cricket Yorkshire journalism! I’m asking those who think what I do is important and has a value to consider supporting it by buying me a ko-fi; it’s a donation or a financial thumbs-up with whatever you can afford. It can be a one-off or whenever you enjoyed a particular article. All you need to do is click the gold banner to visit ko-fi where you can buy me a coffee (we’ll pretend it’s a Yorkshire Tea) and donate sums of £3 – and leave a message so I know what article you read and what you liked.